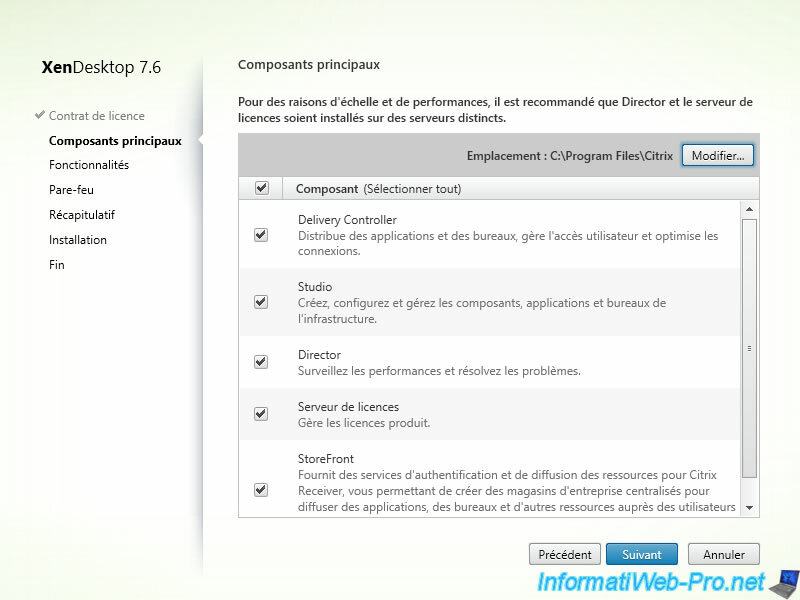 Citrix XenDesktop enables to provide (virtual) desktops for a list of predefined users. This technology saves money because only the server (where virtual desktops used by authorized users are running) has to be powerful. Clients receive a picture (a set of pixels) of the desktop used remotely. 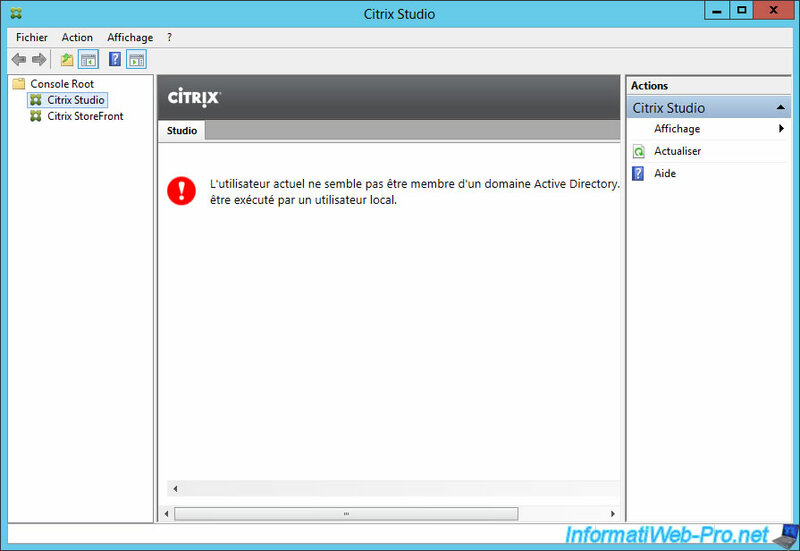 The client that allows you to use a desktop (virtual or not) remotely is named "Citrix Receiver". 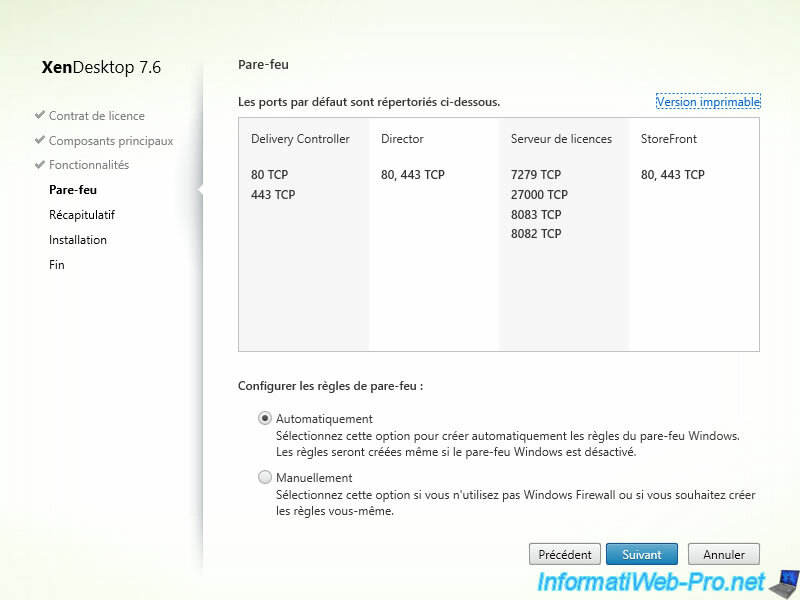 This program can also be downloaded from your XenDesktop server, if you wish. 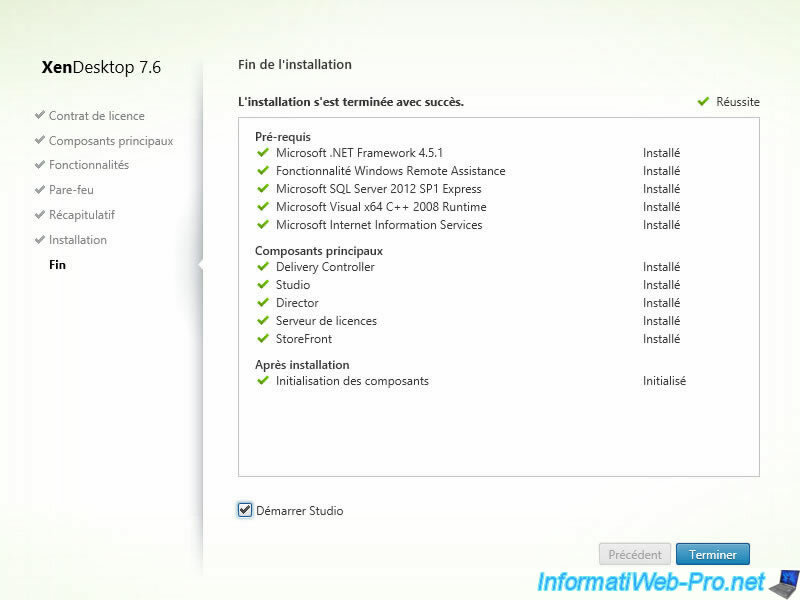 In this tutorial, we will use a virtual machine with Windows 7 to make available virtual machines created with MCS technology. 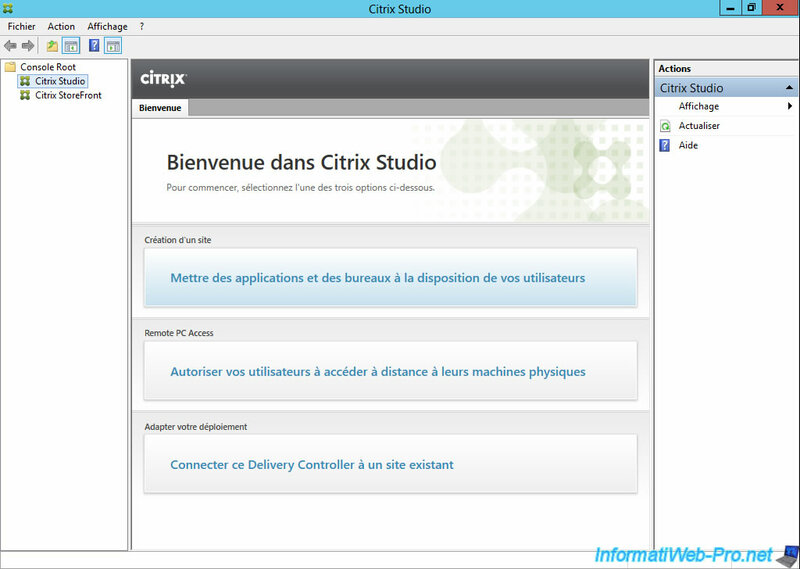 These virtual machines are created on a "Citrix XenServer" server. 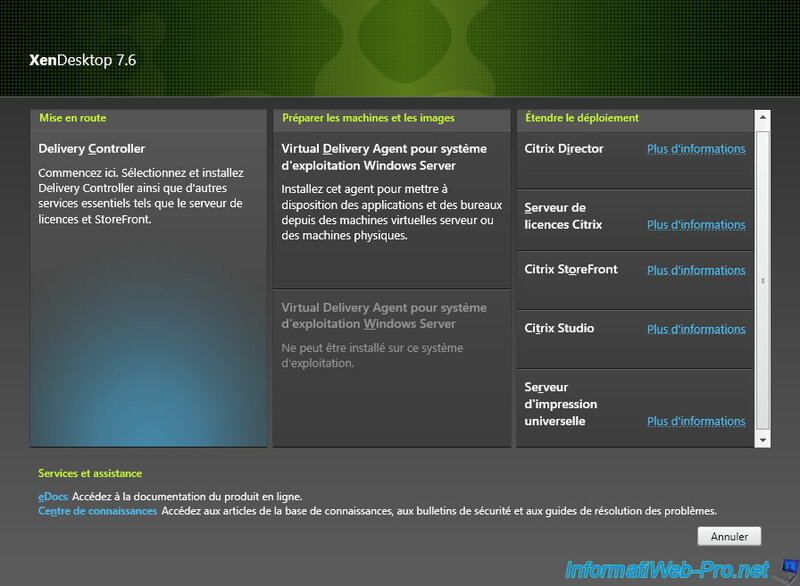 A virtual machine with Windows 7 x64 where we will install the Virtual Delivery Agent to allow XenDesktop to create 2 VM by using the MCS technology. 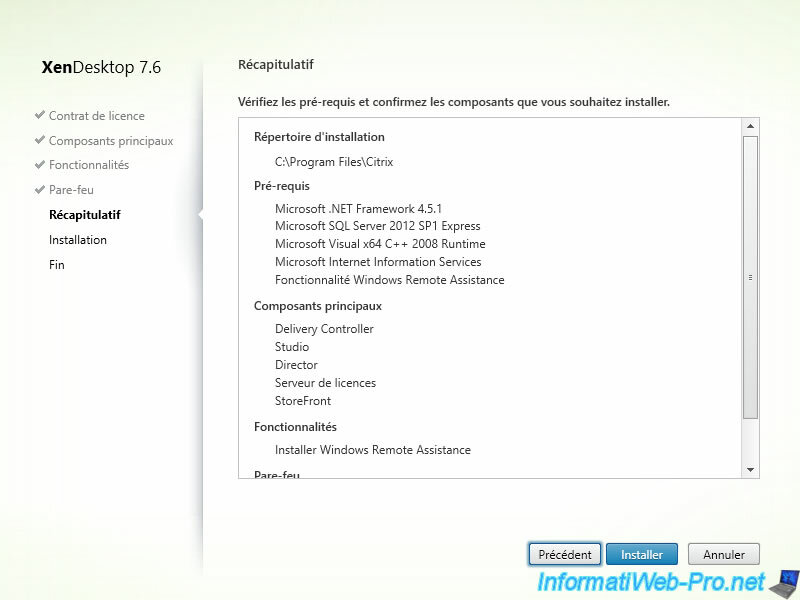 Computers running Windows or another operating system supported by Citrix Receiver to test the desktops delivered by XenDesktop. Note: The Certificate Authority is not required, but it allows you to test your configuration without paying SSL Certificate. This can also be used if you use this technology only in a local network (intranet). 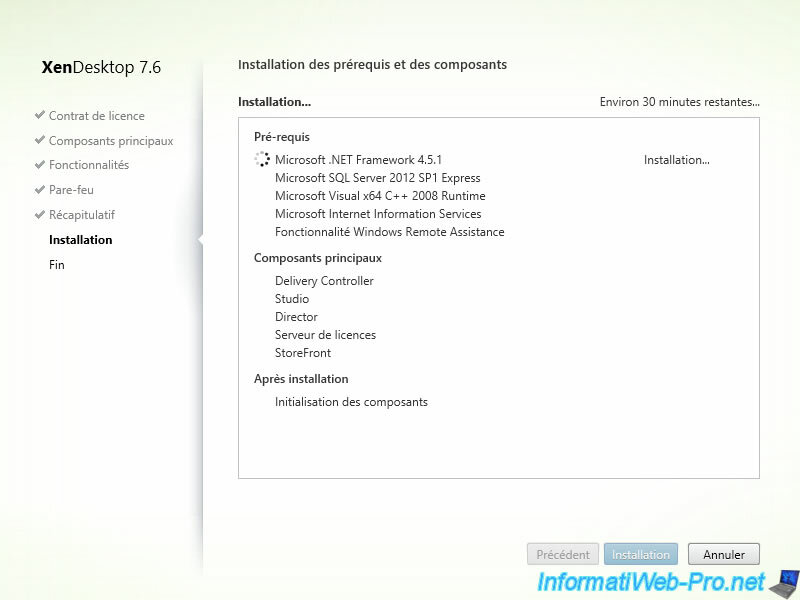 To do this, insert the XenDesktop CD and click on the "Start" button in front of XenDesktop. Leave the boxes checked and click "Next". 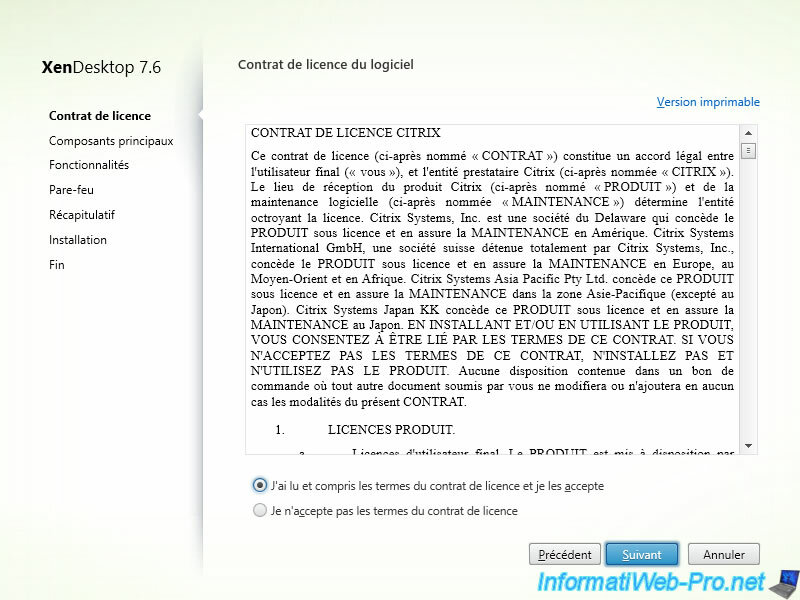 Note: If desired, you can install the license server to another server. Select "Automatically" and click "Next". Note : If you want access to desktops delivered by XenDesktop, from the outside; Don't forget to redirect the necessary ports in your router. To do this, follow this : Making a server accessible from the Internet. Installation takes half a hour. 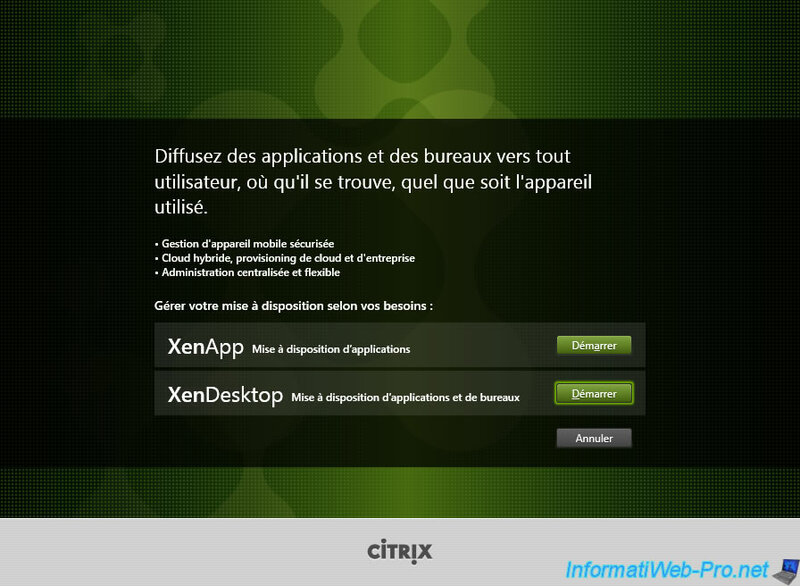 During installation (after 10 minutes), XenDeskop ask you to restart the computer. Then, the installation will continue. 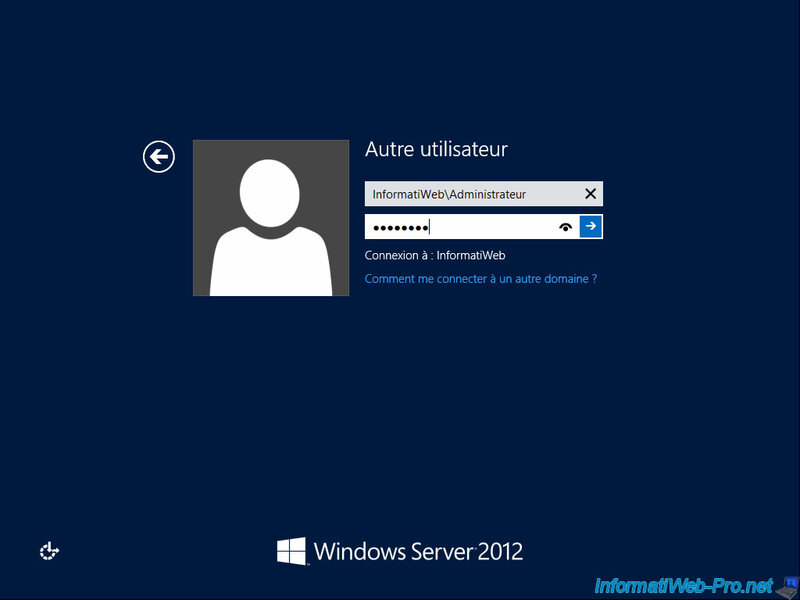 In this case, log off and log on with the Administrator account for your domain. Since we will use the XenServer server virtualization, we will install XenServer. 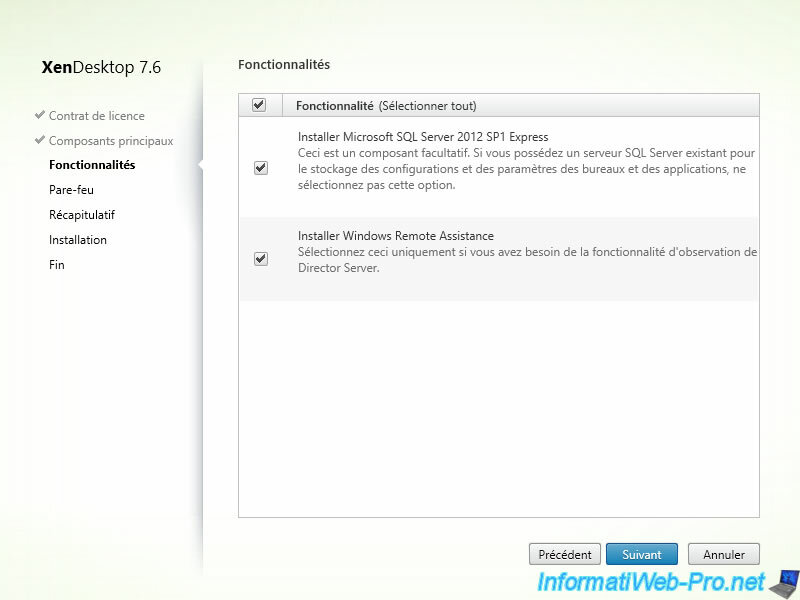 During the installation of XenServer, check the box "Enable thin provisioning (Optimized storage for XenDesktop)". This isn't mandatory but is recommended. Use a fixed IP address for your XenServer server. Enter a name for your server and DNS servers to use. Since you have installed Active Directory on your network, specify the IP address of that server at the line "DNS Server 1". Then, specify the IP address of your router (where ISP DNS servers IP addresses are writted) and the IP address of a public DNS server Google (8.8.8.8 or 8.8.4.4). Once the XenServer installation and server configuration are complete, we will configure the DNS server for that your server has also a domain name. Note : The server will only have a domain name. It will not be linked to Active Directory. When you install an Active Directory on a server, the wizard also installs the DNS server, but the wizard creates only a forward lookup zone. To avoid future problems, create the reverse lookup zone by following this : Configuring the DNS server (for LAN). Then, create pointers associated with existing records by right click on each record, and click "Properties". Note : ad-server and xendesktop recordings were created automatically by the Active Directory because we have linked these 2 machines to our Active Directory. Refresh the list of the reverse lookup zone. Then, create an A record (in the forward lookup zone) for your xenserver server. Note : Don't forget to check the "Create Associated Pointer (PTR) Record".